1. 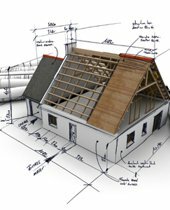 What is a HUD Home? HUD homes are houses where original loan was insured by the Department of Housing and Urban Development (HUD) under the direction of the Federal Housing Authority (FHA). These are repossessed homes from loans that were in default. HUD has retaken ownership of them and has them for sale again. 2. In what condition can I expect to find a HUD home? Some HUD homes are in very habitable conditions needing only some minor cosmetic repairs. Others may need some significant repairs. The utilities in HUD homes are typically shut off so expect them to be cold in the winter time. 3. If my HUD home needs work, I can't afford to make a down payment AND do the fix up costs? That's the beauty of buying a HUD. You can actually buy a HUD home for $100 down AND get up to $35,000 in fix up expenses to improve things like carpets, paint, appliances, counter tops, doors, windows, roofs, lights and more. We call this a 203k program. It's the best kept secret around! 4. I'm interest in buying a HUD. What do I do? Contact Robert Haynes and ask him to help you search for a HUD. You can also click the link above to browse HUDs. You MUST have an agent to buy a HUD. They do not sell directly to the homeowner without an agent. 5. When can you bid on a HUD and how soon will you know if you won the bid? There are two bidding cycles typically on a HUD. The first gives preference to a owner occupant. The second cycle allows for anyone to buy a HUD. In the first round, there is a cut off date established and you typically know by the next day whether or not you won the bid. If you didn't and it is "still up for grabs", then a higher bid can be submitted the next day. A foreclosure is a property in the process of foreclosure (repossession). The bank is taking the necessary steps to own the home. A HUD we have already defined. A Bank Owned (or Real Estate Owned REO property) is a property owned (repossessed) by a commercial bank that was not insured by HUD. property is worth. It's an interim step to foreclosure. 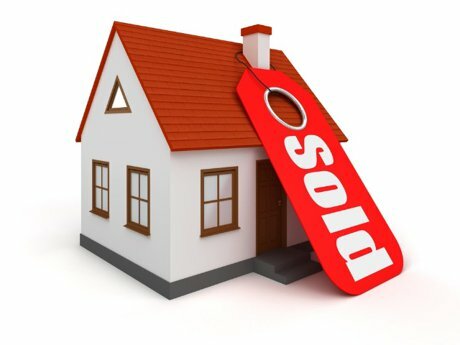 The bank is willing to accept a loss on a short sale rather than own the property. VA owned properties are similar to HUD except they are guaranteed by the Veteran's Administration. 7. Why wouldn't I just buy a short sale rather than a bank owned or HUD? 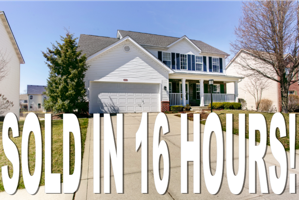 Short sales take weeks, if not months, just to get an answer! Expect to wait while your bid package sits in line waiting to be evaluated. This is very frustrating for all parties. Many times the buyer gets frustrated and walks away because the bank is unresponsive. Simply put, most short sales do not close. 8. What is the difference between repossession and foreclosure? Basically, they are the same except that foreclosure is the process of a lender reclaiming ownership of real estate (vs personal property) through provisions in a mortgage. 9. Can I always get a great deal buying a HUD, REO or short sale? Always, no. Often, yes. It really depends on the location, marketability, condition, price and required repairs. Each case has to be evaluated on its own merit. 10. Since this is a bank owned property, can I just 'take over" payments? No. You will need to arrange for new financing.